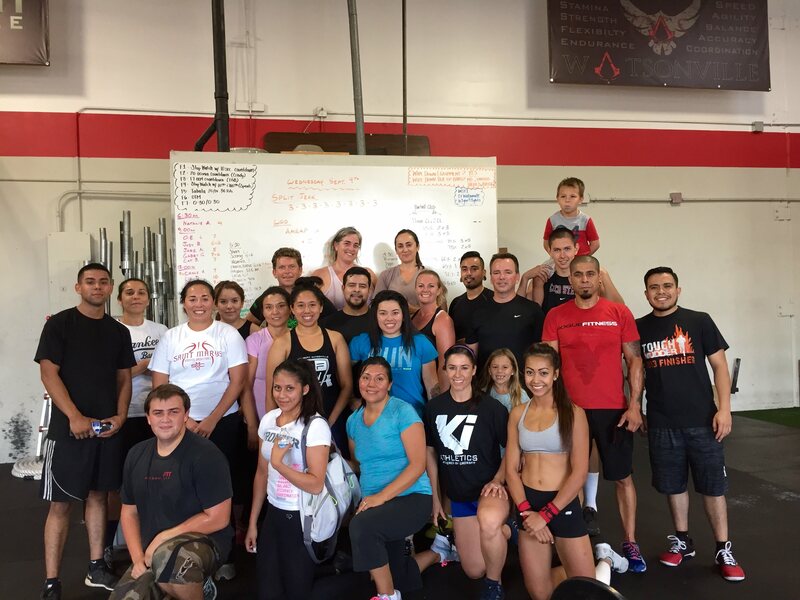 CrossFit Watsonville is GROWING! Look at all of those beautiful faces! We could not be prouder of the dedication that you have taken towards your fitness journey and that you are part of this group of people that we LOVE! When you find yourself discouraged ...remember how far you've come and keep a daily journal of weights used for lifts. Aside from logging your workout and your numbers, log things such as sleep, nutrition, and mood. So many people try logging things using online formats, and I have never seen a better tool that is more consistent for logging your CrossFit journey, then a simple composition journal...where you actually hand write your daily logs. There is something to be said about picking up a pencil or a pen to make an entry. Remember to date everything. Pick yourself up a journal and keep it in your gym bag or store it in a cubby. This will be a great tool as we go into our 8 week nutrition challenge! Be consistent in mind and body! 3-2-1 GO!